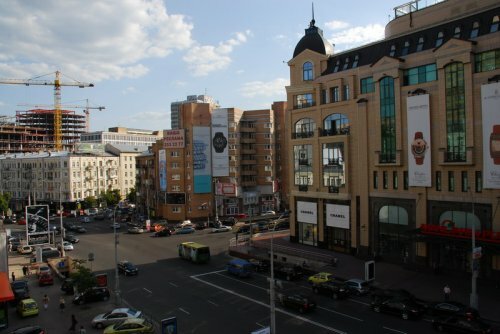 This Kiev apartment is situated on the 4th floor of a 6-story building with elevator, coded door and the consierge in the building. The apartment comes fully equipped and furnished with everything required for safe, comfort and cozy living, including a plazma tv in the living room, large reclining couch (convertible to full sized bed), 20” plazma screen TV set with cable, two queen sized beds in the two roomy bedrooms, large wardrobe area in both of the rooms, fully equipped kitchen with microwave, air conditioner and much more. 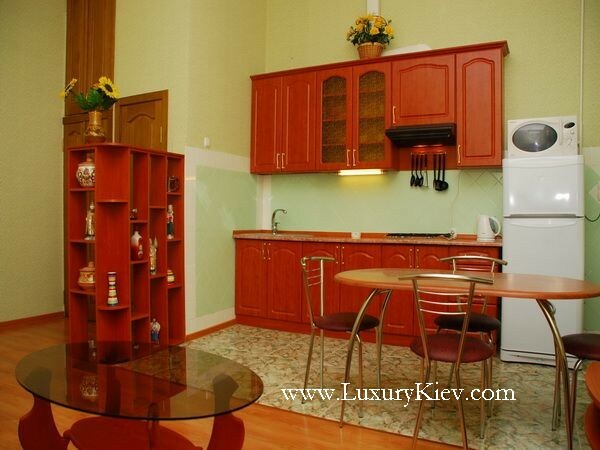 This apartment is a great deal if it comes to budget-luxury, modern and comfortable accommodation in the Kiev downtown central location. Living Room: Apartment's living room feature reclining couch (convertible to full sized bed for extra two people), air conditioner, 20'' plazma TV set with cable, local phone, dining and coffee table, and much more. 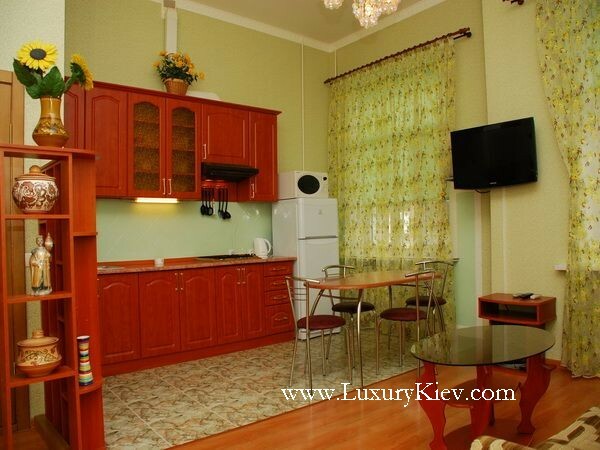 Bedroom: Apartment's two identical bedrooms offer queen sized beds, large wardrobe, TV set and air conditioner. Kitchen: Fully equipped kitchen with everything required for meal preparation and a dining room with seating area for four people. 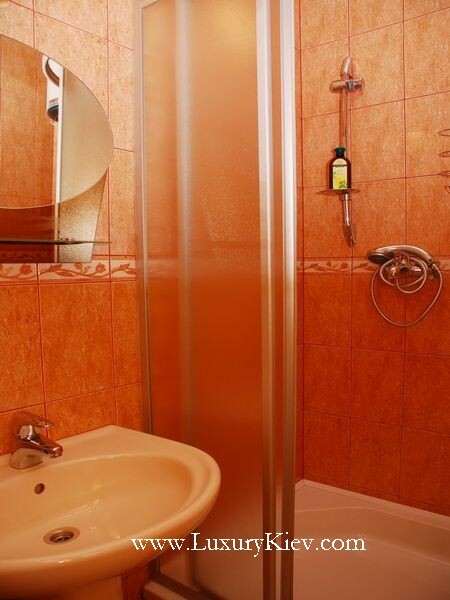 Bathroom: Roomy, featuring a shower room, sink and a hairdryer. Toilet is separate from the shower room. Please select a date you want to check out.